This is the conclusion of our three-part series on S-5! Manufacturing. Part One featured the fortuitous meeting of Rob Haddock and Harry Carner, their partnership, and how they built their well-oiled manufacturing machine. Concerned about lack of control and a desire to always improve “the right way” to do things, these two men joined forces. 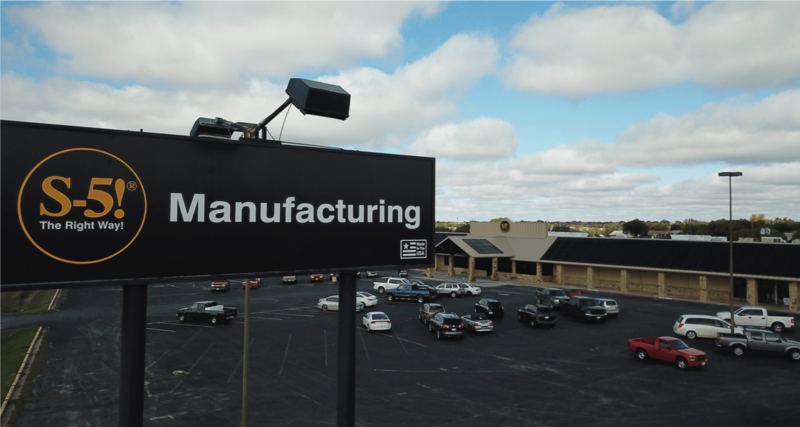 Part Two took you on a tour of the manufacturing facility, revealing just a few of the efficient machines and processes invented specifically for S-5! products. But innovation and fabrication are only part of the success equation. Contributing to S-5!’s success is their attention to detail, quality assurance and safety. They stand behind their declaration of having the most trusted engineered products in the industry. See why in Part Three. Tested. Trusted. Engineered. It isn’t just a tagline. protocols. Then we have ISO, ICC, DIBt, UL and FM certified QC processes and traceability to mill and machine that certified raw material into finished goods. And it’s not just one and done. Inspectors from these organizations “drop by” the plant unannounced to be sure we are adhering to all those processes and documentation. The aforementioned testing takes place BEFORE being offered to the marketplace. Load testing is done by a third-party certified laboratory and is a critical aspect of our testing policies. It proves real holding strength of actual production parts on actual roof materials. It is very extensive because the holding strength of a clamp or bracket varies widely with what it is attached to. Metal panel profiles and substrates (even though they may look the same) are actually different in gauge, geometry, dimension, material type and material properties. Although a single S-5! part may “fit” multiple profiles and materials, its holding strength may be widely varied. So, we test them all according to those variables. That’s a lot of load testing! S-5! has conducted over 3,000 individual tensile load tests on various specific seam profiles, brands of manufacture, gauges and substrates. They are all tabulated on our website so that any user may access this vital information according to job-specifics. And individual lab test reports are available upon request. Our extensive testing for holding capacity enables any S-5! installation to be engineered appropriately for the service loads to which it will be exposed on the roof. The assurance that the parts tested are the same as those actually produced every day can ONLY come with the kinds of certified QC methods described here. As discussed in previous parts of this series, quality control is critical to S-5-M. The final inspection stop is the packaging area. Each packaging inspector conducts a visual inspection of each and every part - 100% - and this is then audited by the department head. The final QC process contributes to the plant’s high and consistent weekly production rate. Carner’s extensive experience along with a few S-5! trade secrets contribute to the well-oiled machine that is S-5-M.
S-5! is dedicated to sustainable practices – not only in producing high-quality and incredibly durable products that last for the life of the roof itself, but also in raw material recycling. From raw material to finished product, and everything in between, S-5! produces an assortment of clamps and brackets for virtually every metal roof profile and application out there. S-5! takes pride in knowing that our high-tech manufacturing processes enable us to control costs, manage production and produce a higher quality product at a lower cost for our customer. - no single one is infallible. The real test - the ultimate test - is best measured by our track record: actual installations on millions of roofs in various conditions, in locations all over the world and with exposure to various forces for almost three decades of time. In all that time and on all those roofs and conditions, S-5! has never had a documented failure of a part or system in actual service. So, Why Should I Care About All of this? So, you might be asking yourself, “Okay, so why should all of this matter to me? I just want to securely attach this HVAC unit to my metal roof”. But that is just it. The story behind the story means that as the end-user, you can unequivocally trust that every single attachment solution we sell is quite simply unequaled and unsurpassed by any other product in documented ultimate load-to-failure strength, quality and durability. And the products didn’t get that way by chance, luck or magic. They have remained that way for almost 3 decades through a track record of success, which is why S-5! is trusted throughout the industry. And they remain so, because S-5! products have been designed and engineered to last the life of the roof. We do all these things because it is the right way. We will never make broad, speculative advertising claims or hypes about our products. And we can prove everything we say—just ask. S-5! strives to under-promise and over-deliver. Always! The legacy now spans generations: Learning the basics of metal construction contracting from his father, Rob is passing on his knowledge, experience, values and entrepreneurial spirit to his children, who have all worked in the family businesses now for more than a decade. According to Rob, “They all have S-5! blood running through their veins, and each of them add tangible value to the enterprise”. 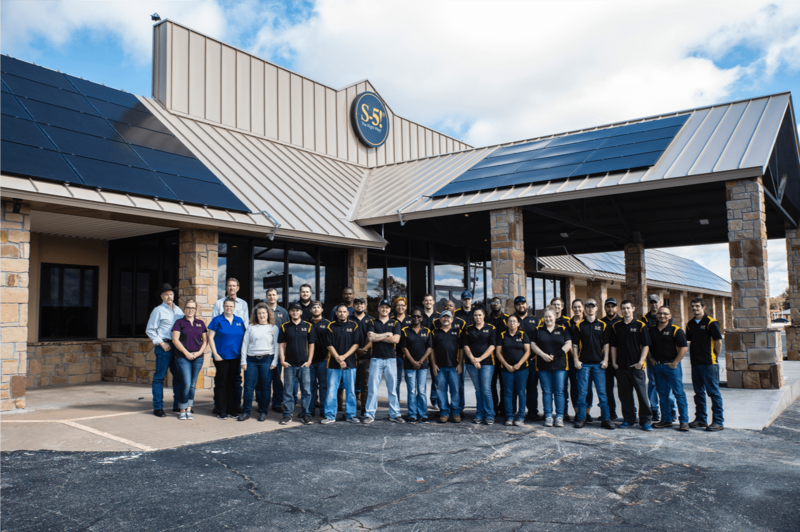 When Haddock and Carner joined forces, they may not have realized the impact they would have on the metal roofing industry. S-5! leads the way in innovative attachment solutions with more than 50 patent awards, while our world-class manufacturing plant showcases how to develop a high-speed, efficient, standards-based production line for aluminum and stainless parts that can only bear the name S-5!. So, what’s on your roof? Don’t forget to check out Part One and Part Two to learn more about S-5! Manufacturing. Check out our entire line of engineered clamps, brackets, solar, snow retention, and utilty systems under the PRODUCTS tab above. to Metal Roof Innovations Central to get our latest blogs sent straight to your inbox!